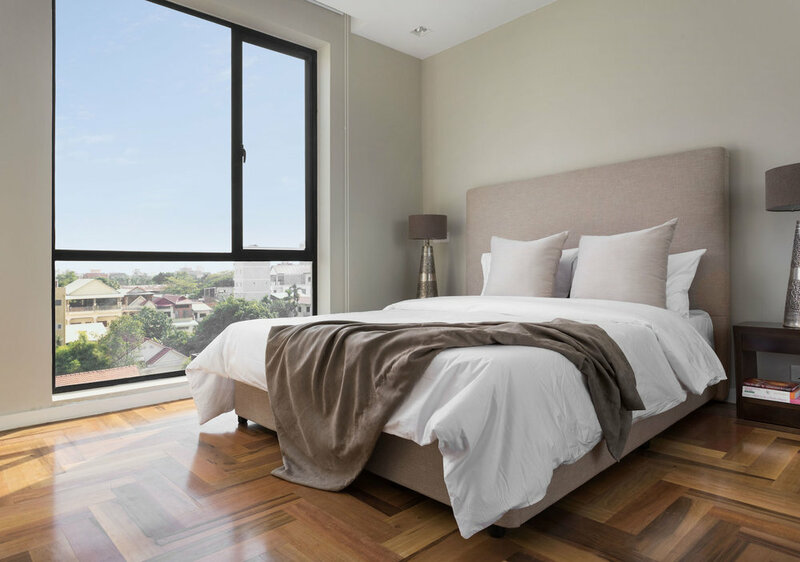 The biggest of our apartments is the 3 bedroom apartment, with a superb finish, sleek & modern style wih European fittings throughout. Call for a viewing. 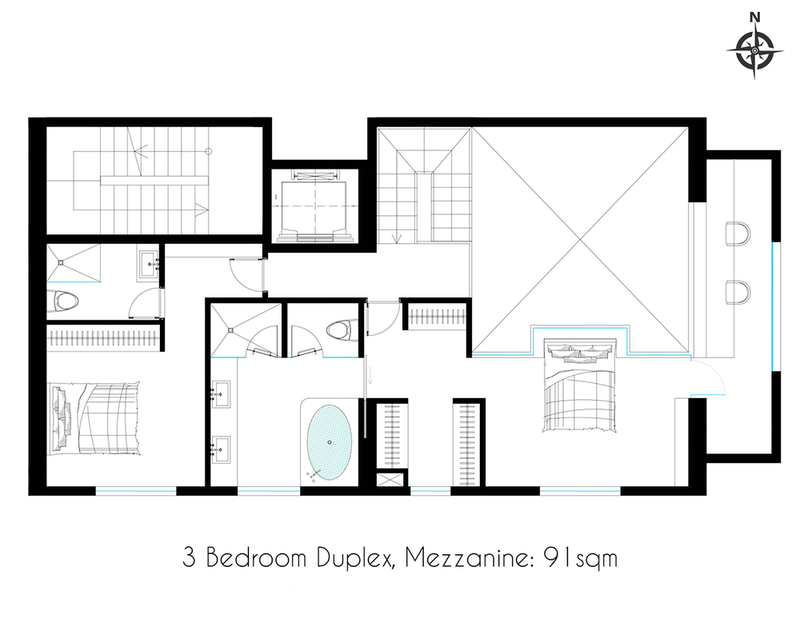 The immaculate 3 Bedroom Duplex apartments feature a large master bedroom with a separate wardrobe area, a large bathroom, and study on the mezzanine level. The master bedroom and study overlooks the void. 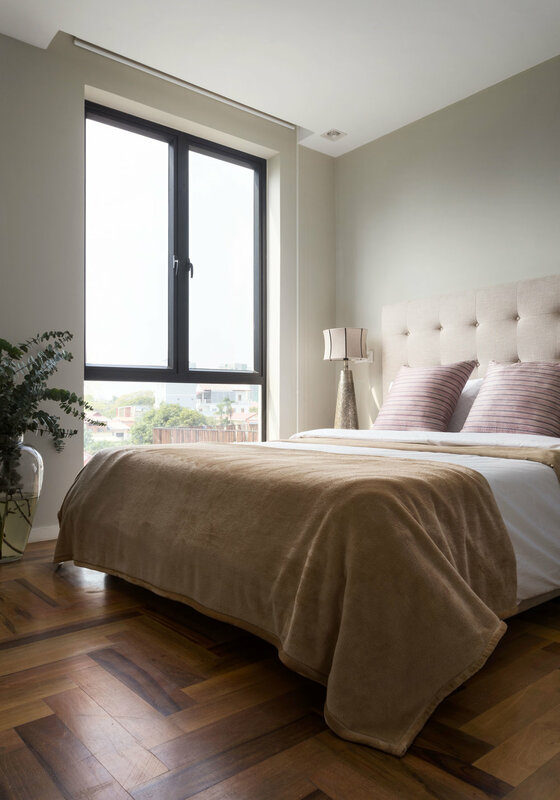 Panels from three sides of the bedroom allows for plenty of natural light to filter into the bedroom. The apartment has a 4.7 m kitchen along the wall with a 1.8 meter window overlooking the city skyline as a splash back. In addition, there is a 3 m stone bench that drops down to a laminate/stone dining table. Ideal for entertaining and a family, this executive apartment is spacious, luxurious and sophisticated. The top apartment on the 10th and 11th floor has direct access through the apartment to the roof top pool and gym from area. 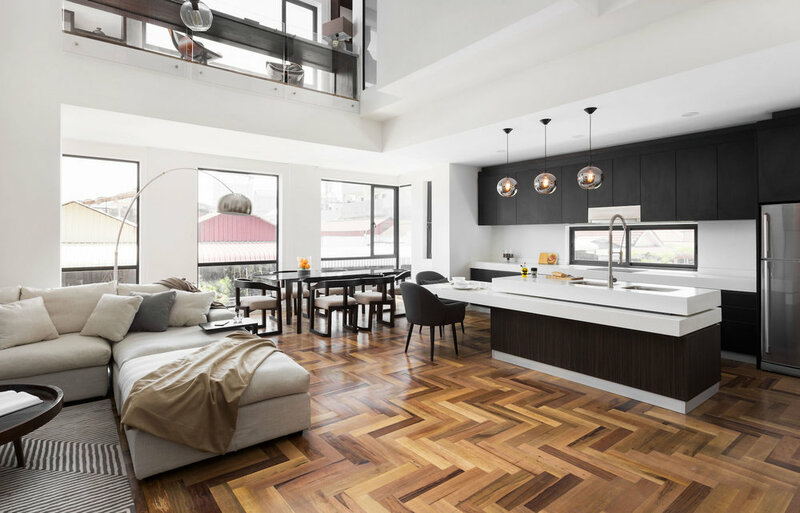 The kitchens are equipped with European appliances and feature a combination of stone slab benches assorted with a laminated drop down bench top table. 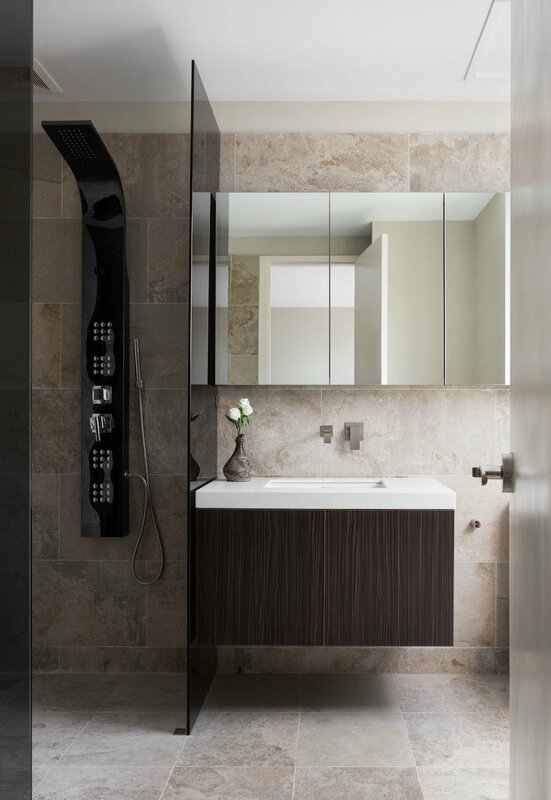 The cabinetry is functional and sleek with soft close drawers and touch open doors. 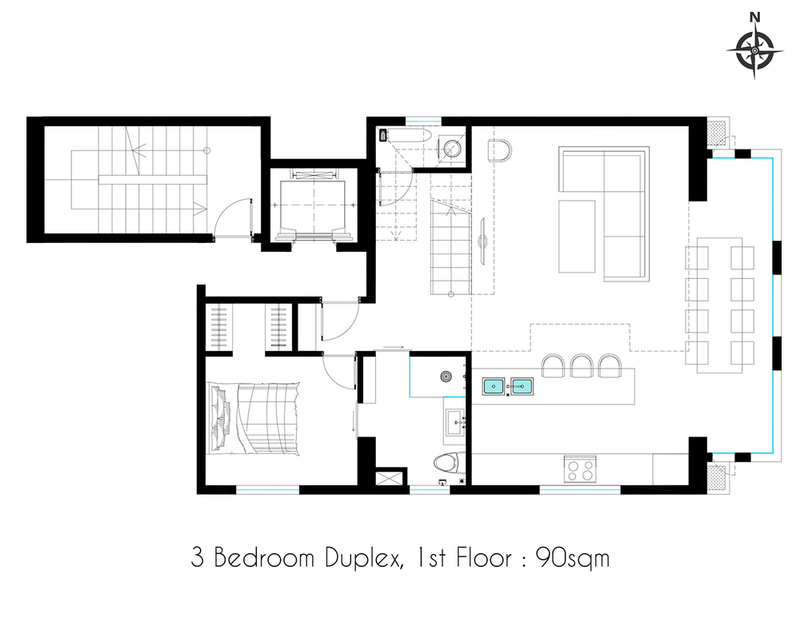 Interested in the 3 Bedroom Duplex Apartments? Get in touch and we'll respond as soon as possible.